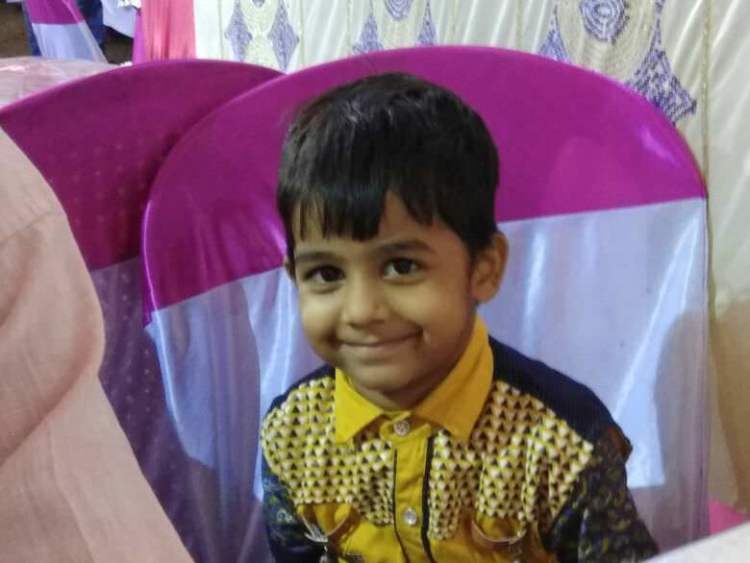 In the times when kids complain about almost everything around them, 3-year-old Asad tries to explain his problems as much as possible to his parents. Probably, he understands that his parents have been trying to save him without much support. 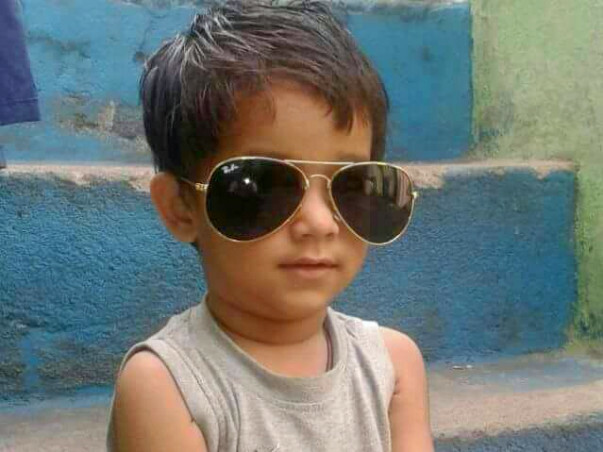 Asad is the youngest child of Sabbir and Armana. 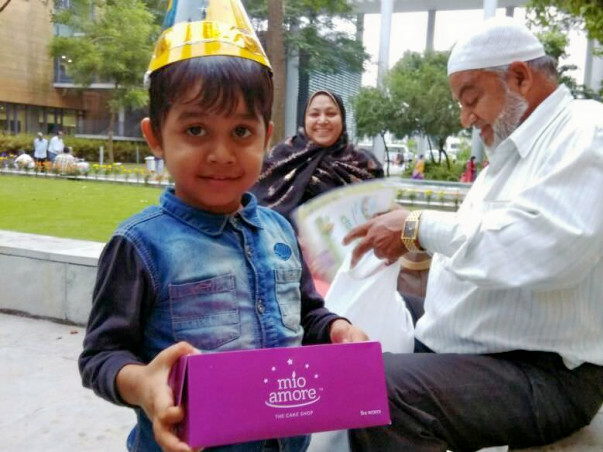 He is pampered not just by his parents, but his elder sisters, 11-year-old Nadia and 7-year-old Sara. Since Asad’s birth, the entire family has kept him in a shell. Sabbir had a small bicycle repairing shop in Dhanbad, Jharkhand, where they live. 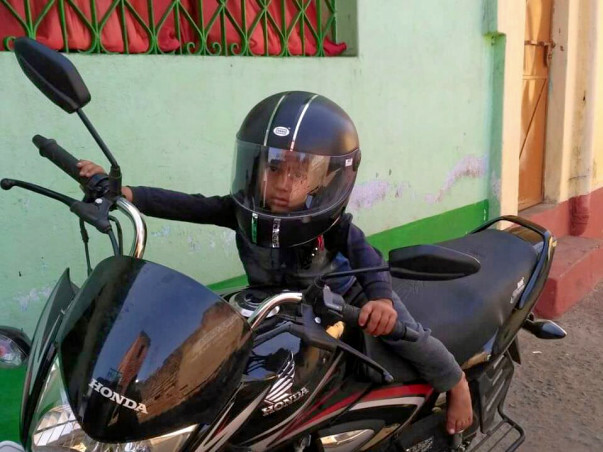 With his meagre income, Sabbir somehow managed the expenses of his family. For Sabbir, happiness used to be more important than his monetary success. Armana and Sabbir’s happy world turned upside down when Asad suddenly started having high fevers. When the parents took the little one to the local doctors, they gave him medicines which reduced his fever for a while. When the fever kept recurring after every few days, doctors said that Asad might have pneumonia and gave medicines accordingly. The new medicines failed to work too. “The wrong diagnosis is responsible for making our baby's condition worse. Doctors should have told us that they can’t find what's wrong. We would have taken him elsewhere. They shouldn’t have pushed our child towards death. I had no trust left on local doctors." Nobody even thought that the little one’s body was gradually giving up. Things became worse when one night Asad woke up from sleep only to cry in pain. He struggled like a fish caught in a net. 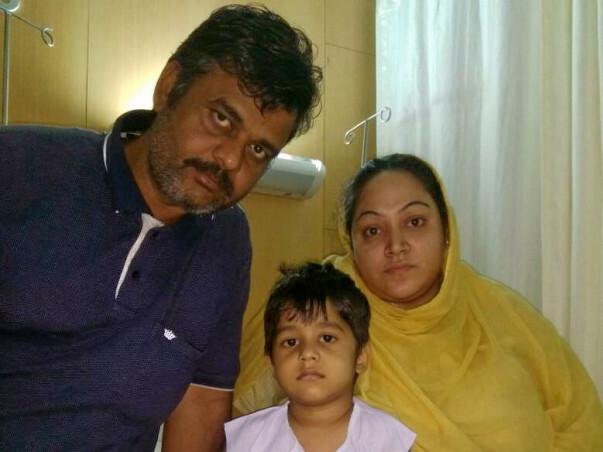 This small child begged his father to take him to the doctors and give him injections. Sabbir realized that Asad was getting worse. They took him to Bokaro. After several tests, they confirmed that the child who had so much life ahead of him, had acute lymphoblastic leukemia, a blood cancer. The doctors told the parents that the apple of their eye was slowly slipping away. 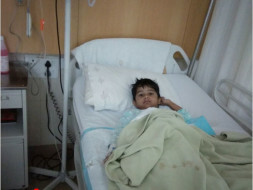 When he was taken to Kolkata, the doctors also discovered a lump in his intestines which was causing Asad so much pain. Without any further delay, he was operated on and his chemotherapy cycles began. The little child has been in way more pain than his body can take. 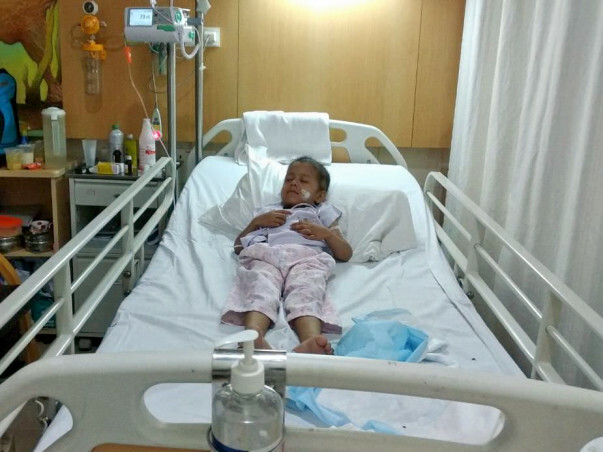 Both Sabbir and Armana are thyroid patients and do not keep very well. Armana has lost all sanity. She keeps on crying and prays so cancer doesn't take her son away. Sabbir feels his family is cursed and has started believing that this is the reason his entire family is suffering. Sabbir has a few relatives who stay in Mumbai. Asad’s uncle, Shahnawaz, has spent days and months to seek help from different charities in Mumbai. He couldn’t see his little nephew slip away from the family. 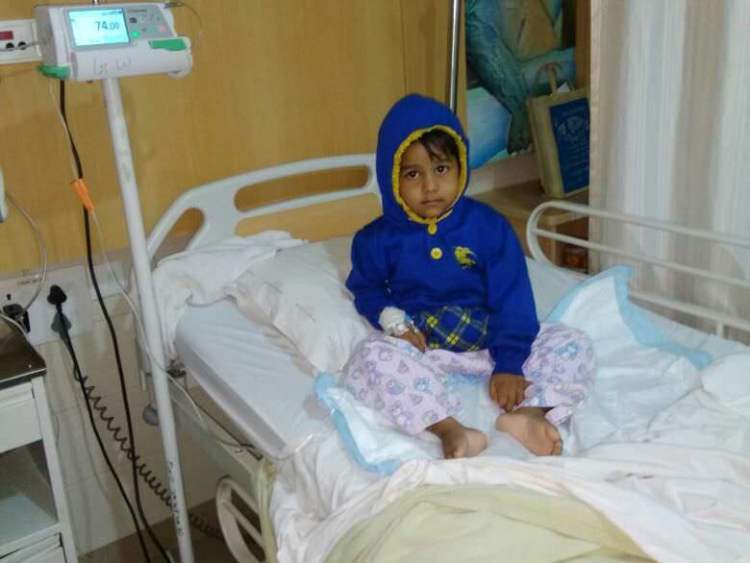 Little Asad’s condition has gone from bad to worse. His screams make the others in the hospital cry. He keeps asking his dad to take him away from the hospital. He cries and tells them that he can’t take any more needles. Sabbir has already spent a few lakhs. When Asad had to be operated because of the lump in the intestines, Sabbir sold his bicycle shop which was his only property. Sabbir’s relatives are very poor and have no means to help him. They have helped him borrow and help Asad to live so far. They have nothing left to save their youngest son. Asad used to be a very active and healthy child. But now he is pale and barely has the strength to get up. 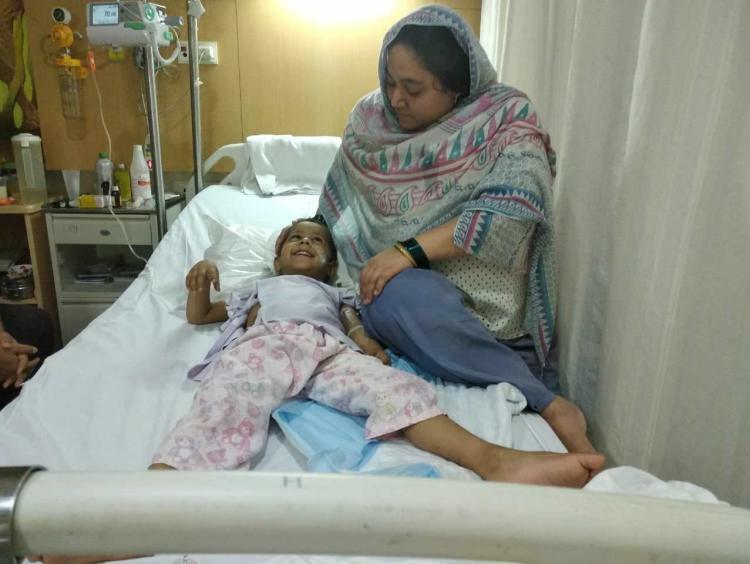 The entire family is not being able to save the child. His body has almost given up and his cancer might silence him forever. Chemotherapy is the only way to save him. Cancer can kill Asad anytime if he doesn’t get the regular chemotherapy. 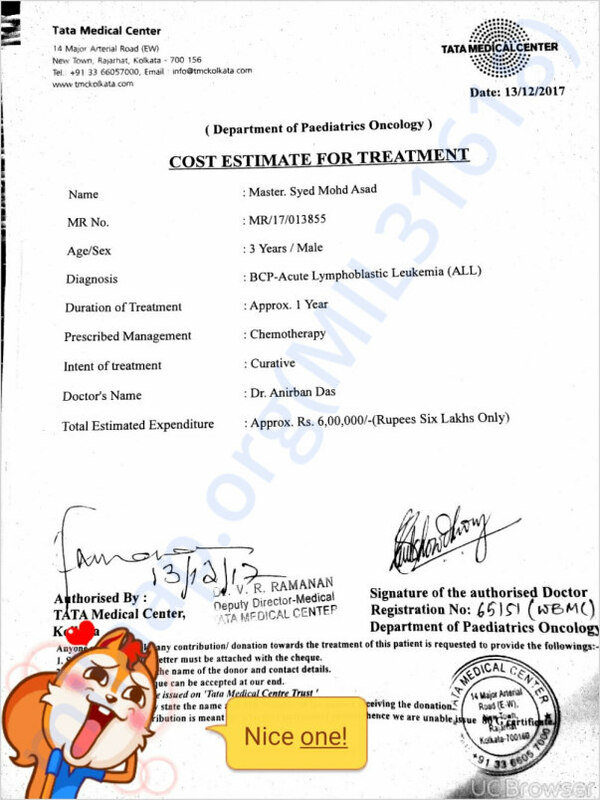 He has already got 3 cycles of chemotherapy. His parents are out of money to carry out his treatment. They are still trying to do everything they can to save their youngest child. 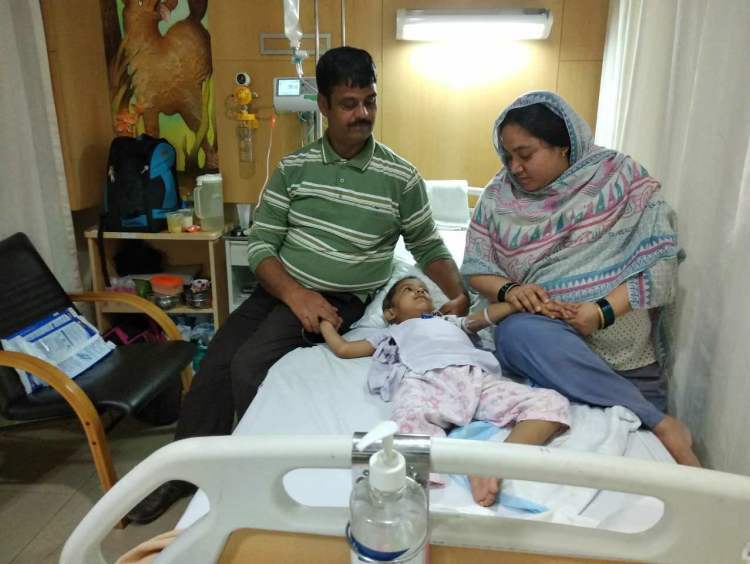 But the cost required to save the little one is Rs 6 lakhs and the parents have no means to arrange such huge sum of money. Your support can save Asad. Thanks again to all donor, aplogo ke help se Mera beta bht swasth ho Raha hai r inshallah Allah jald is bimari se use nizat mil jaiga, main Allah se dua krta hu ki kisi Ko bhi aisi khatarnak bimari na ho, mujhe paise ki jarurat h medicine ke liye monthly it check-up ke liye . Thank you for the wonderful support. 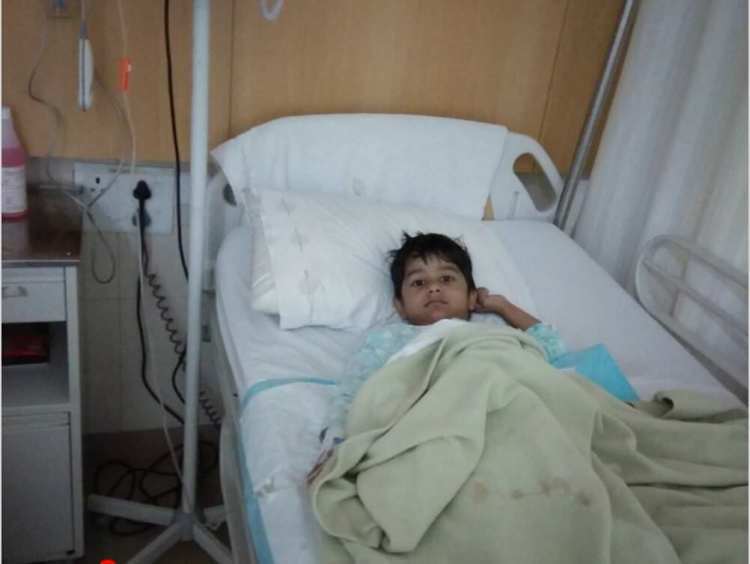 My son is doing better now compared to earlier and I am assured that he will completely recover all due to your blessings. 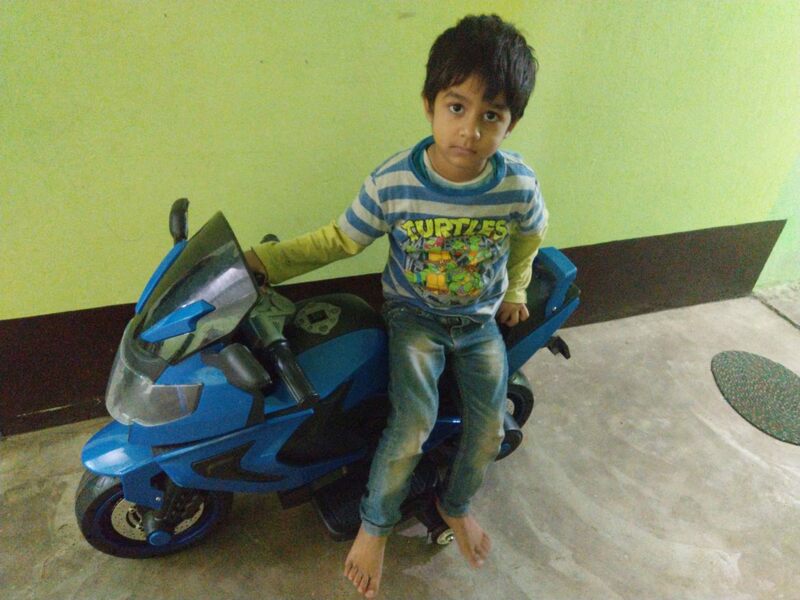 My friend gifted him an electric bike on his birthday and he just could not control himself. The reason for his happiness is all your love and support. He has to undergo a few tests and based on the tests the doctors will suggest the future course of action. Will keep you posted.